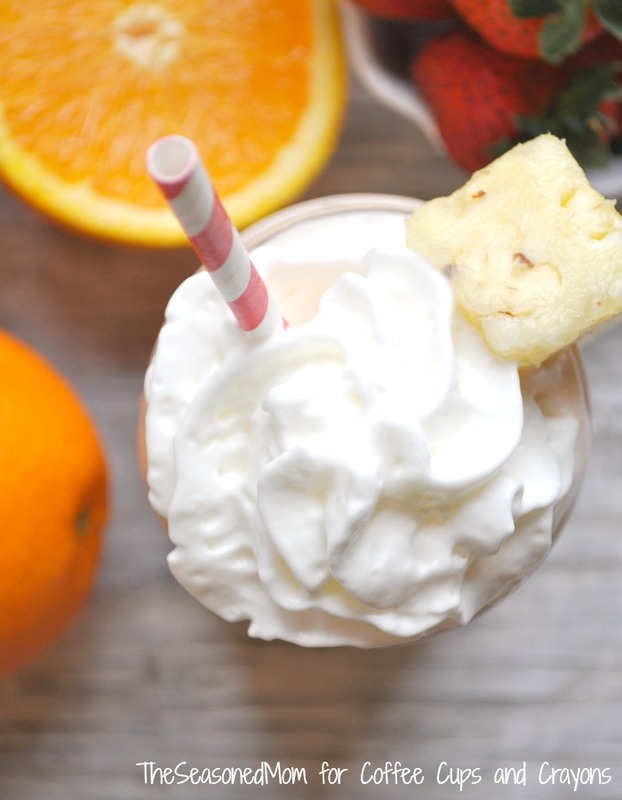 Welcome the warmer weather with this wholesome, filling, and protein-packed Tropical Sunshine Smoothie. 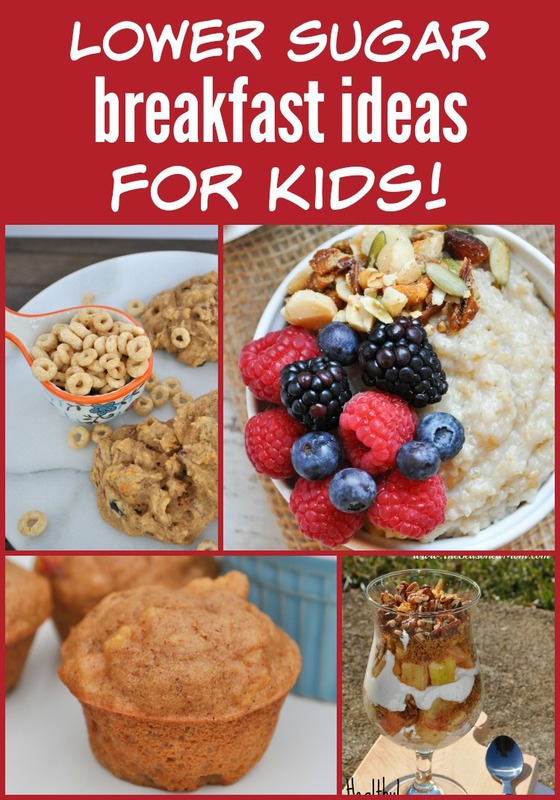 It’s a delicious and healthy on-the-go breakfast or snack that your entire family will love! Hi there, Coffee Cups and Crayons readers! I’m Blair and I’m stopping by from The Seasoned Mom today to with a quick, easy, and nutritious recipe. I’m a mom to three young boys (ages 1, 3, and 5), so I’m busy (like you!) and I know how hard it can be to get a tasty meal on the table FAST…especially when you have discerning little palates to please! 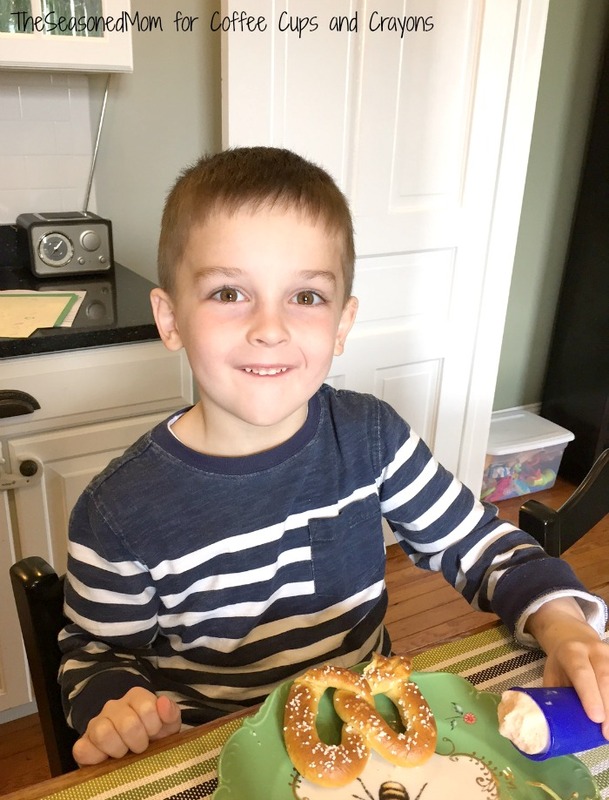 On my blog I love to share the fun ways that I entertain my kids, as well as the healthy and simple recipes that my kids devour. I hope that I can help to make your life a little more fun and your time in the kitchen a little bit easier! Since my recipes tend to focus on seasonal themes and ingredients, I thought that it would be appropriate to bring you one of our favorite warm-weather breakfast ideas. After a winter that seemed to drag on and on, the sunshine could not come soon enough to Virginia this spring. 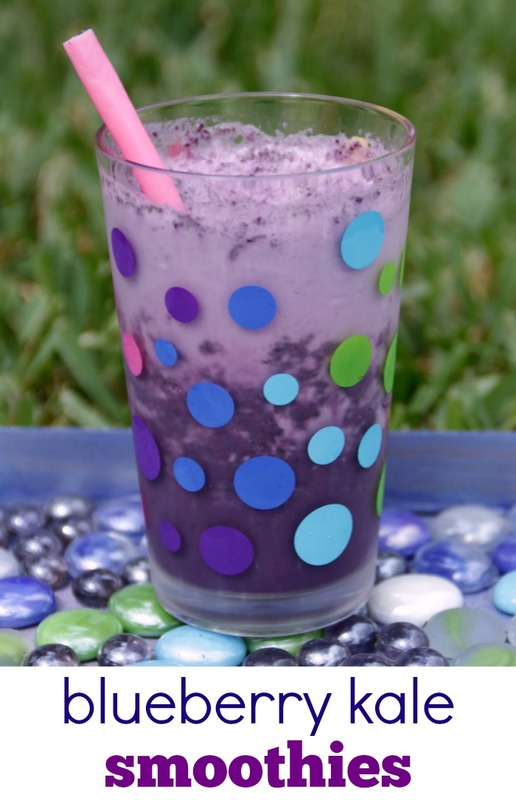 And once we were able to shed our layers, I pulled out my blender to create this delicious smoothie. While it tastes like a decadent fruity milkshake, it’s actually packed with protein, fiber, and calcium…and sweetened naturally with fruit. 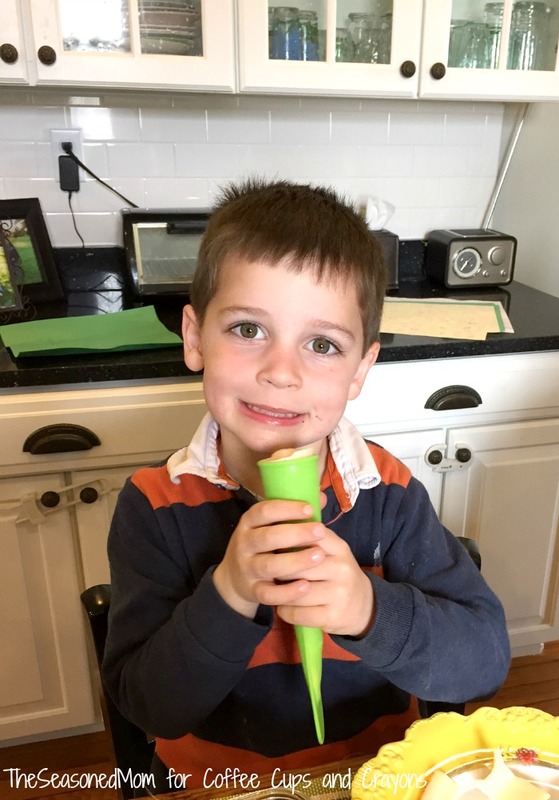 My Number One Smoothie Fan is this little guy, who automatically comes running when he hears the sound of the blender. On this particular morning, he had been sick with a nasty cold and virus for a few days and hadn’t shown much of an appetite. 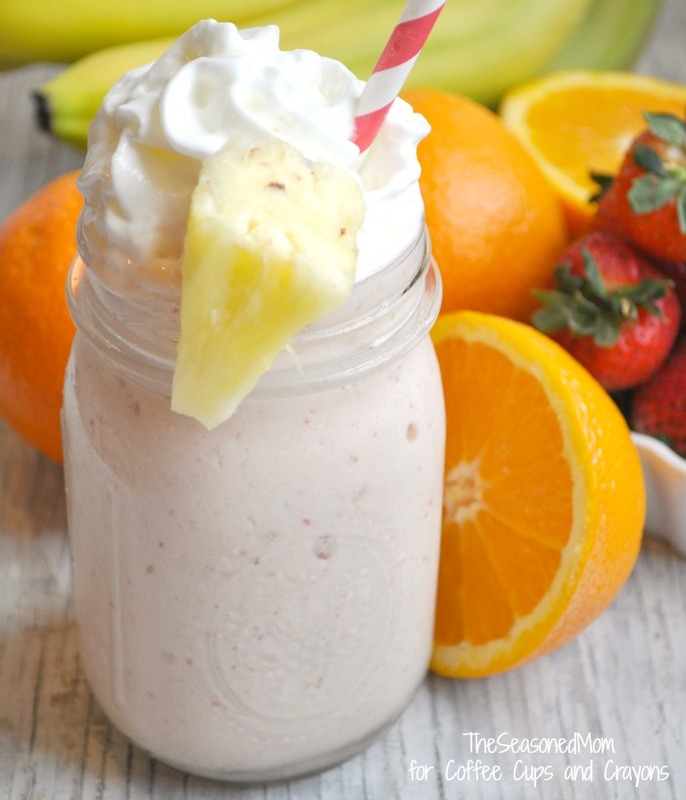 I was anxious to get some nutrients into his little body, so I made him this Tropical Sunshine Smoothie as a mid-morning snack, using whole milk, whole milk Greek-style yogurt, and plenty of Vitamin C in the form of orange juice and fruit. Let’s just say that it was a major hit! And once his older brothers arrived home for lunch after a morning at preschool, they were happy to enjoy the left-overs! I just poured the extra smoothie into my silicone popsicle molds, stuck them in the freezer, and this healthy “dessert” was ready for the boys to enjoy a couple of hours later. They were excited about the treat, and I was just happy that they were sucking down smoothie pops rather than cookies or candy! I hope that you give these a try, and be sure to let me know what your little ones think! And if you’d love even more fun, tasty, and easy ways to feed your family, don’t forget to swing by The Seasoned Mom for plenty of inspiration! Combine all ingredients in blender and puree until smooth. Serve immediately. On her blog The Seasoned Mom, Blair Lonergan documents her life with her husband and three boys in Central Virginia’s Piedmont countryside. She shares the simple activities that entertain her little ones, as well as the easy, nutritious, and family-friendly recipes that her kids devour! 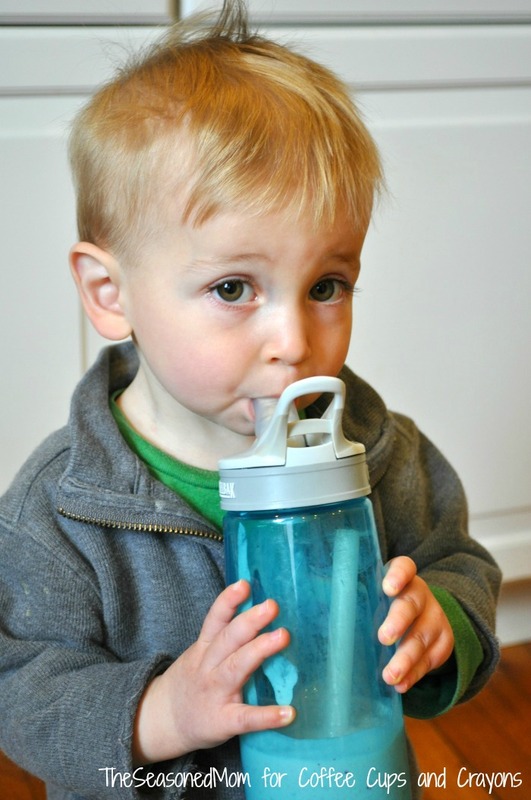 My kids love smoothies…we’ll be trying your recipe soon!